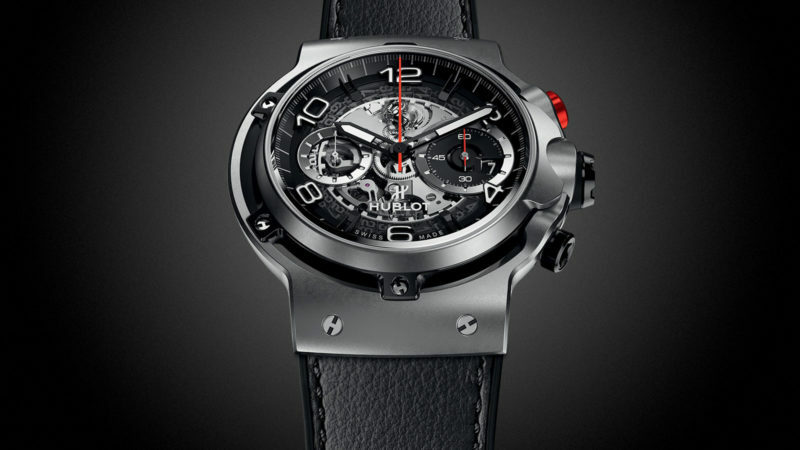 A perfect blend of power and high-performance aesthetic, the Hublot Classic Fusion Ferrari GT was made in collaboration with Centro Stile Ferrari to create harmony between the driver, his watch, and the car that seeks to break all lap records. 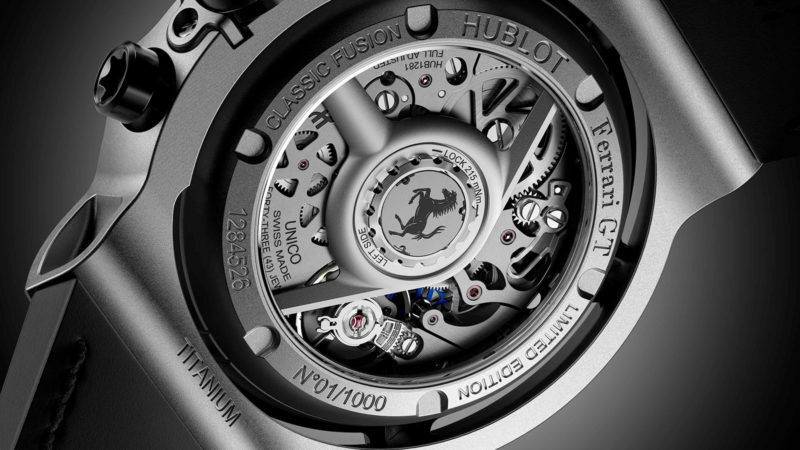 The result of their efforts is a concentrical suspended element that features a transparent sapphire dial and the famed UNICO HUB1280 automatic chronograph movement in a 45mm case. 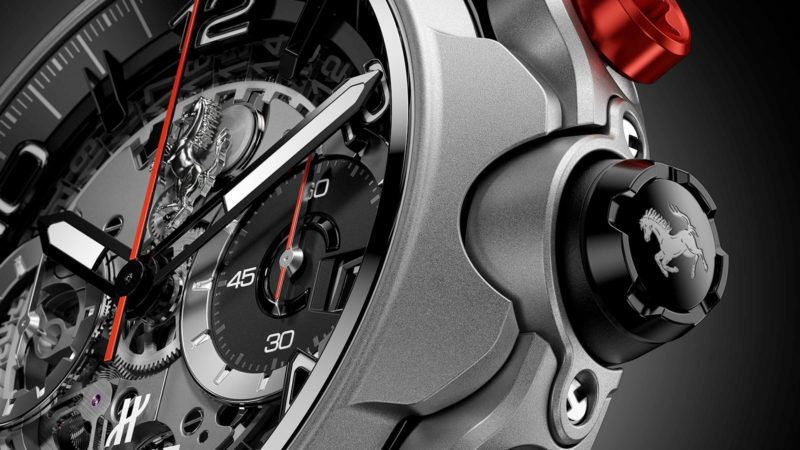 Just as a Ferrari can be customized to meet unique design requirements, so too can this watch be built to meet exacting wardrobe specifications. 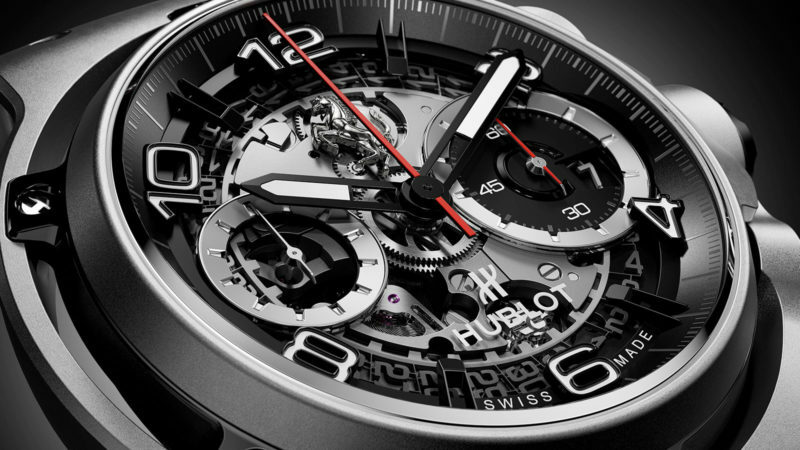 Available in titanium, King Gold, or 3D black carbon case, the Hublot Classic Fusion Ferrari GT is impressive no matter the time of day. 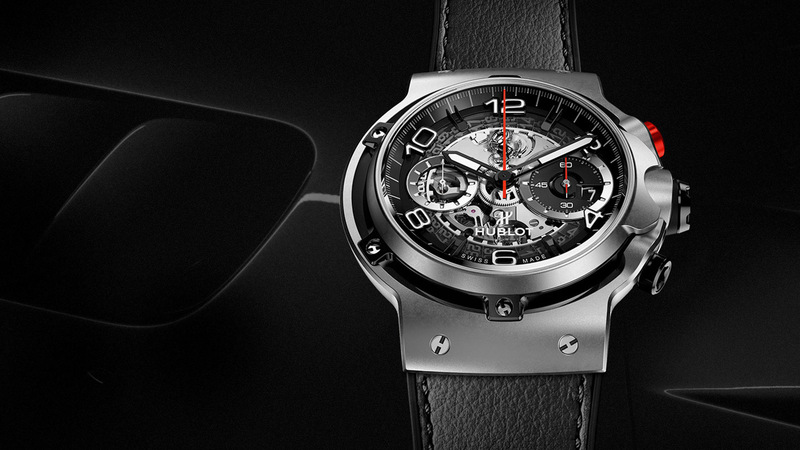 Discover the perfect driving accessory for those Italian countryside adventures in a roaring automobile that will make it seem like time has stood still.